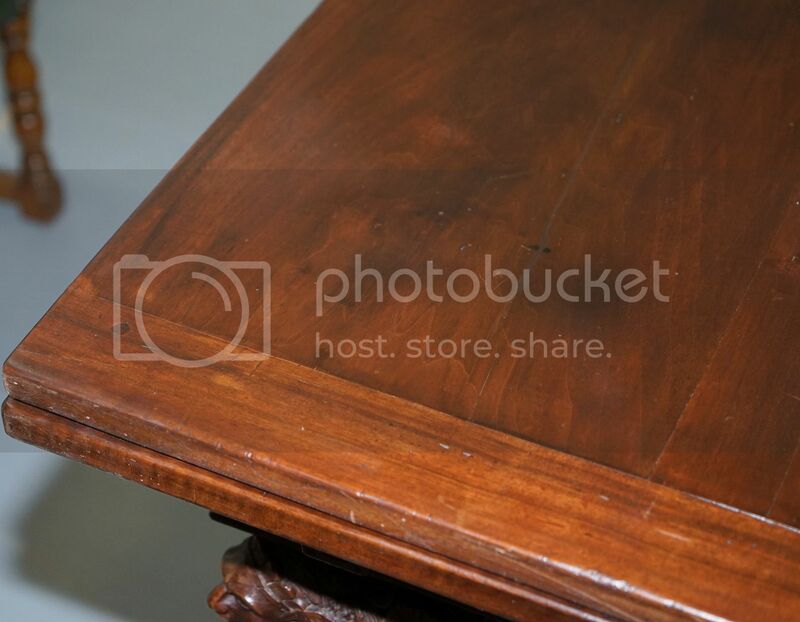 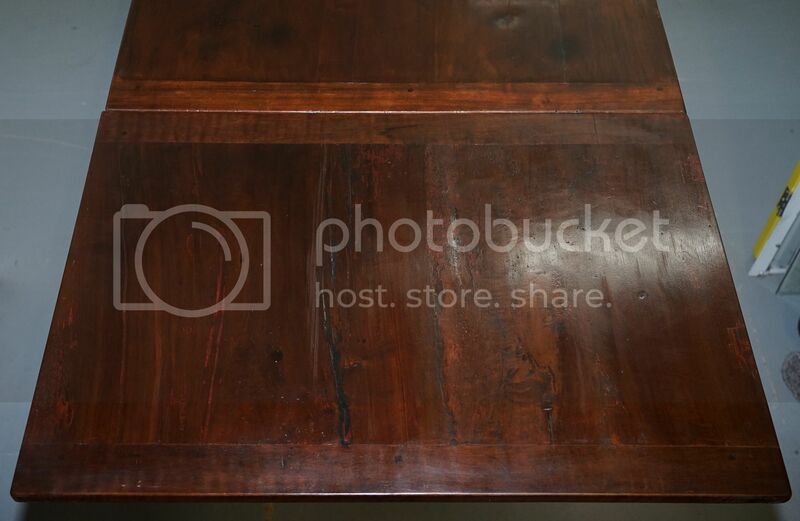 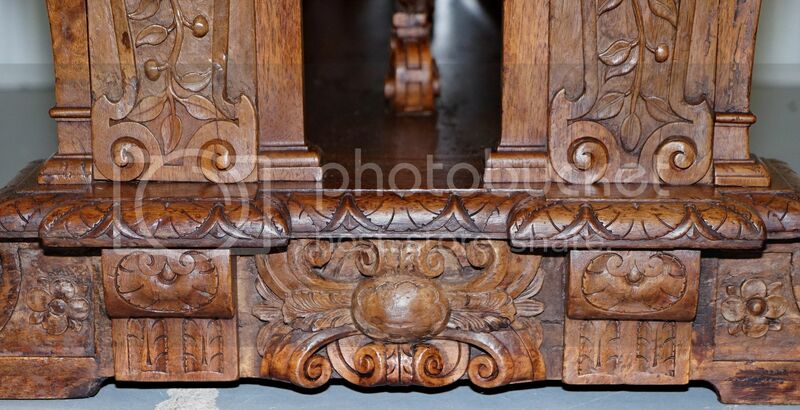 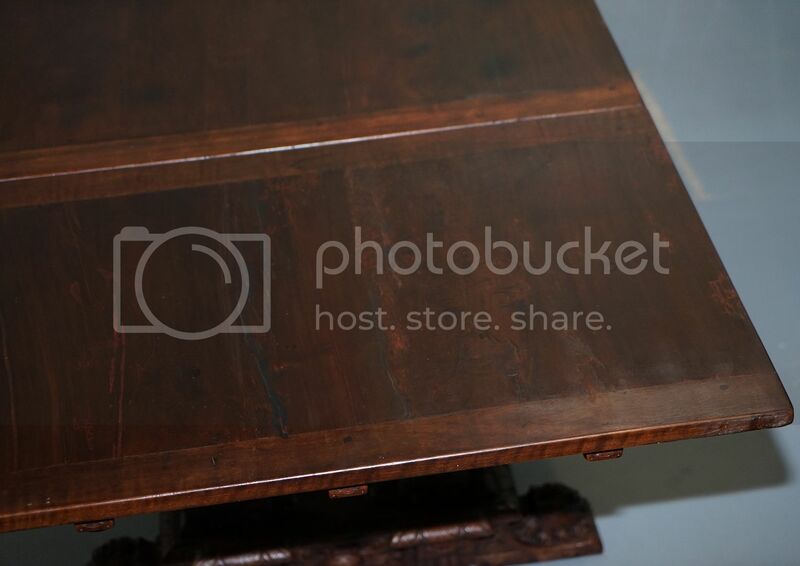 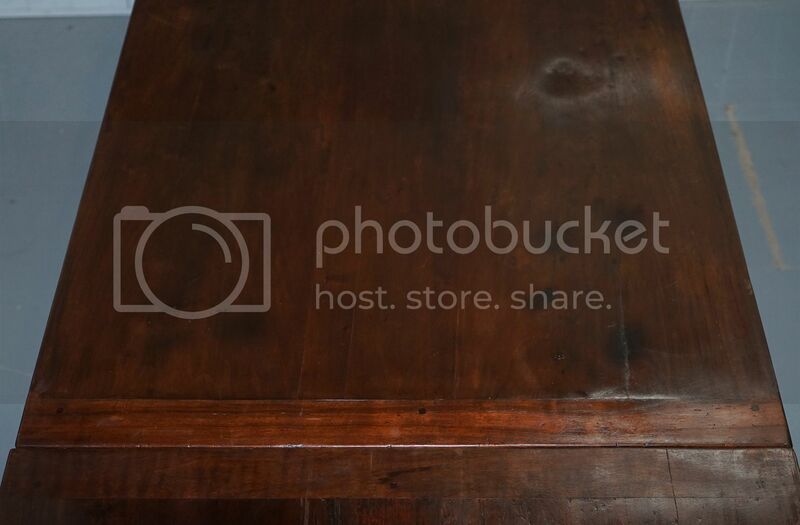 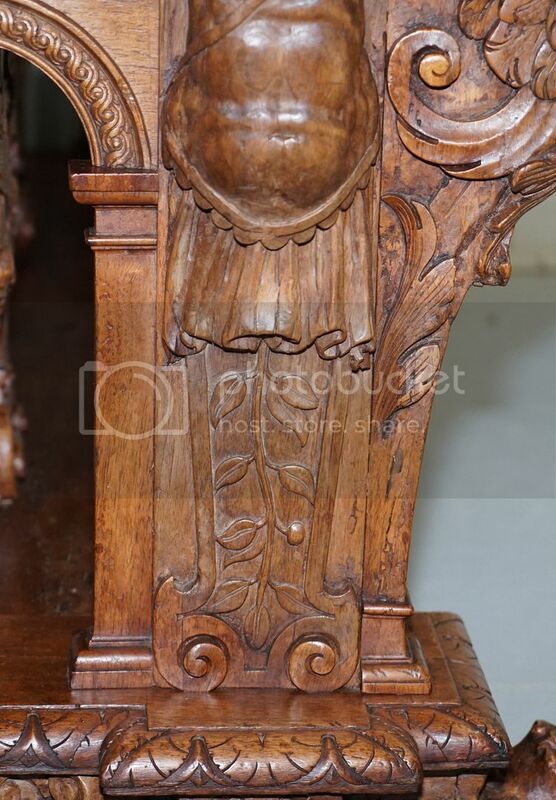 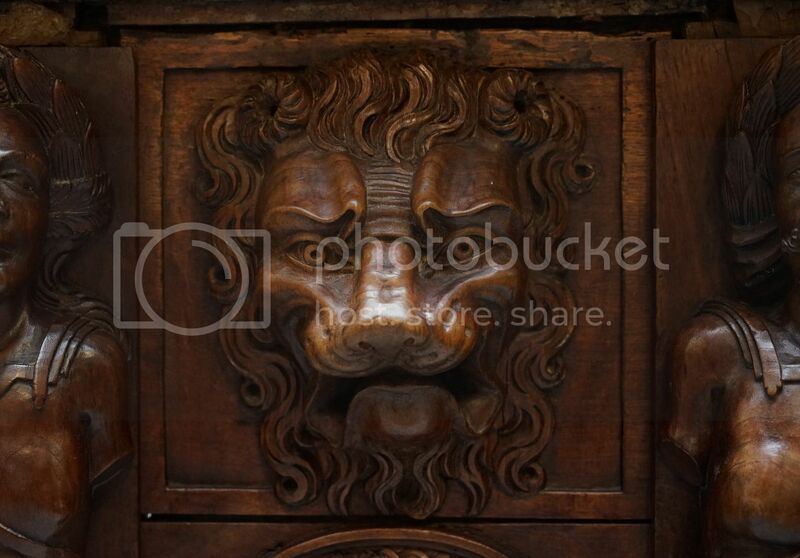 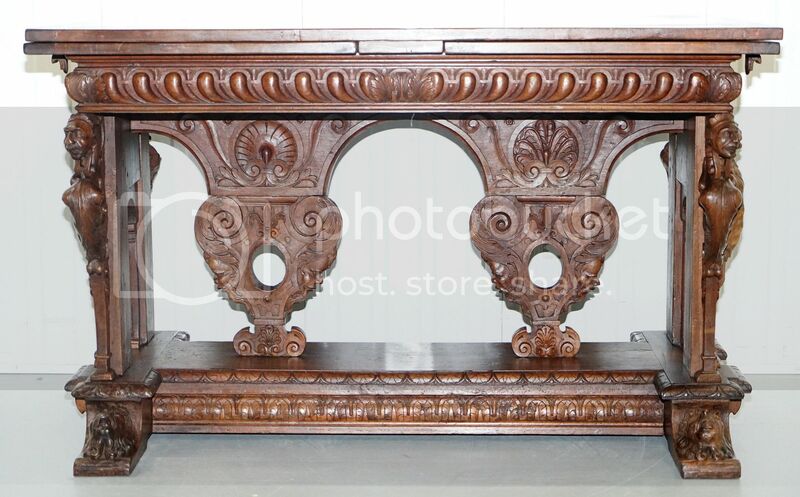 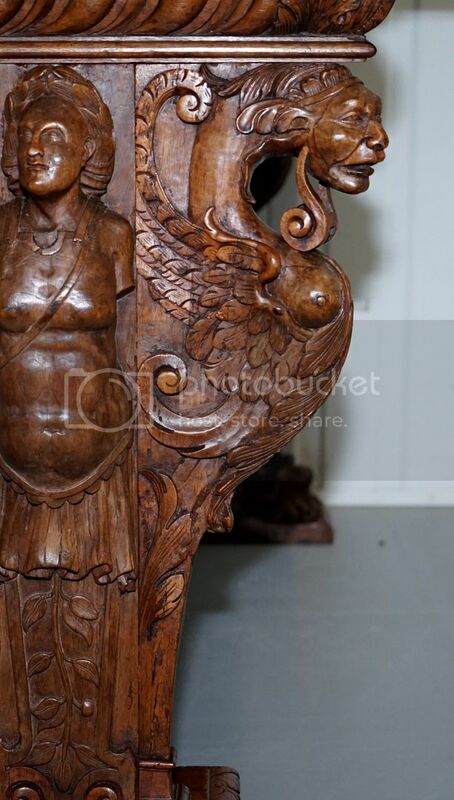 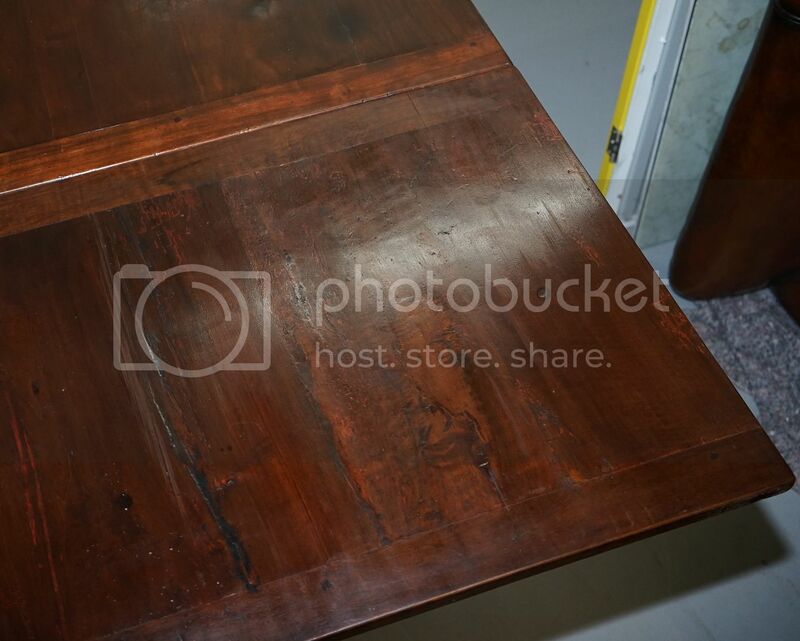 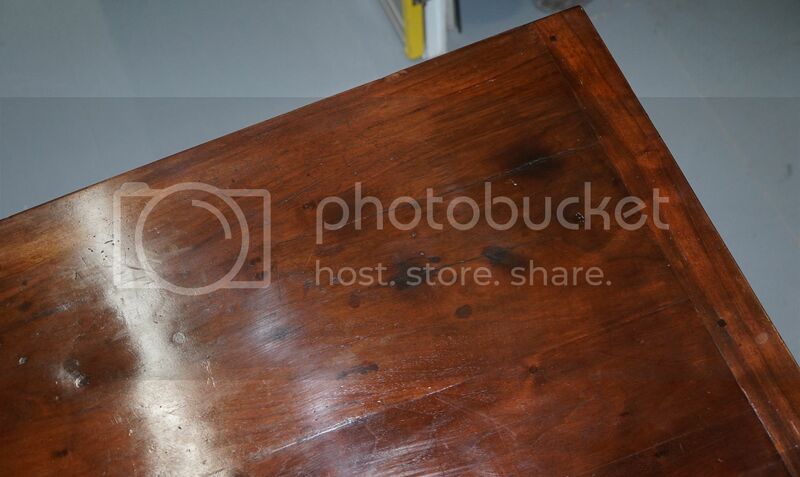 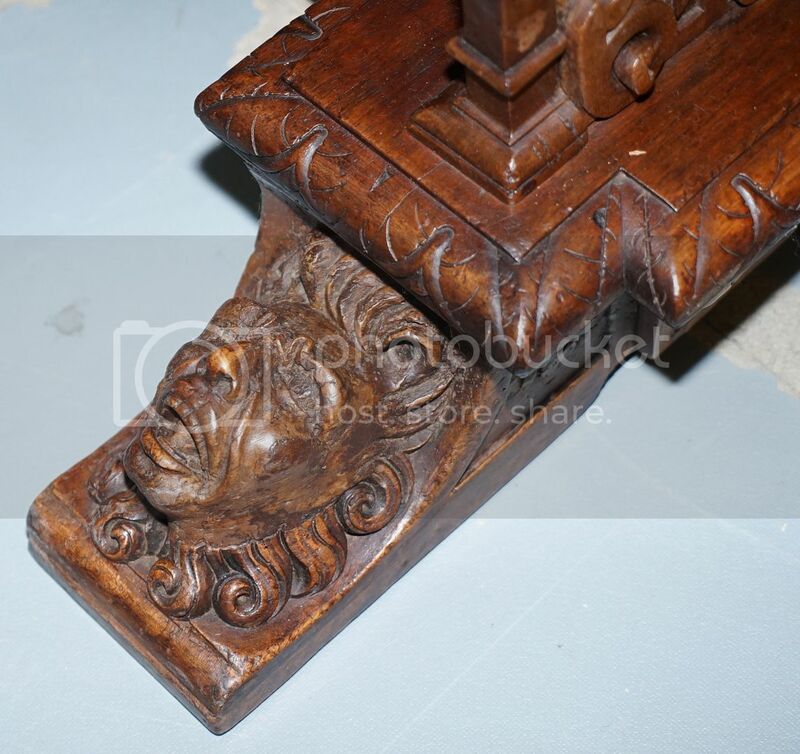 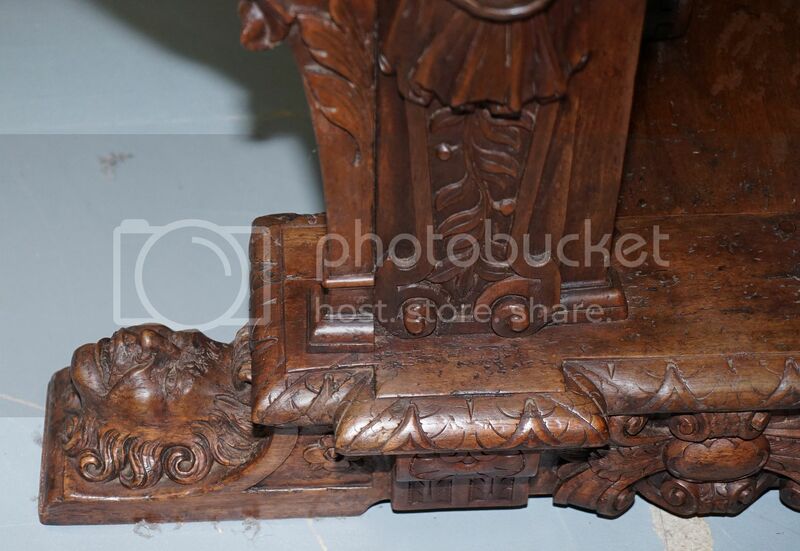 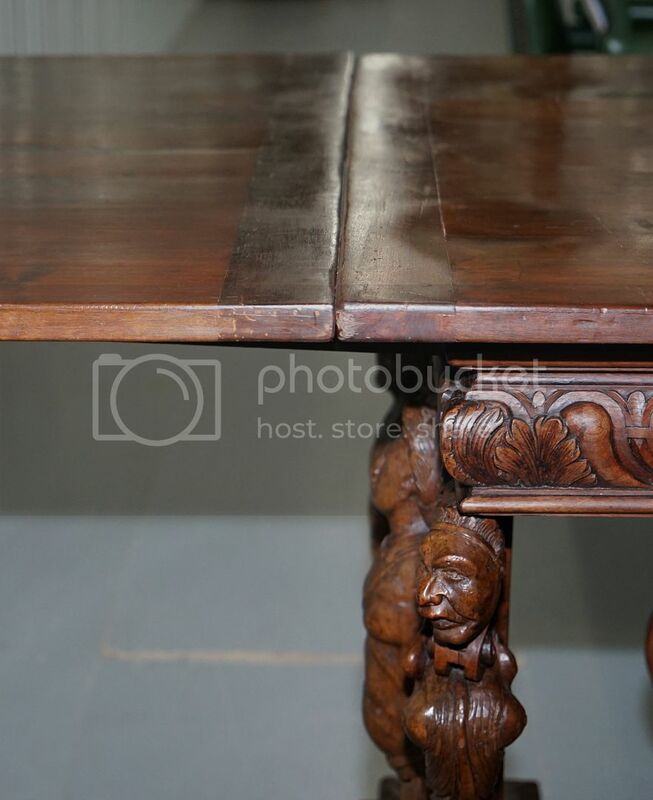 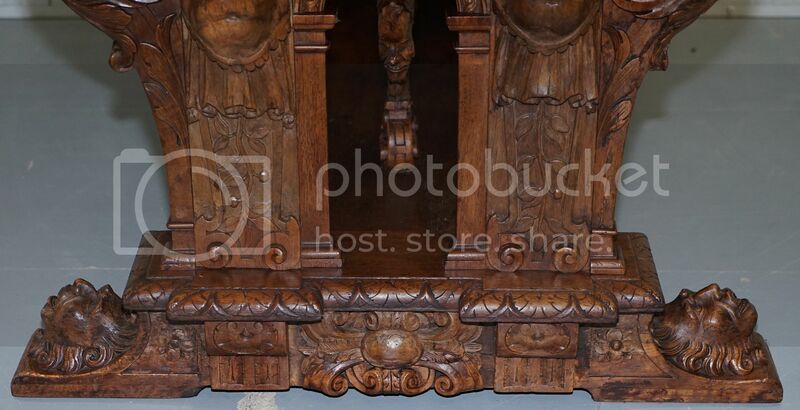 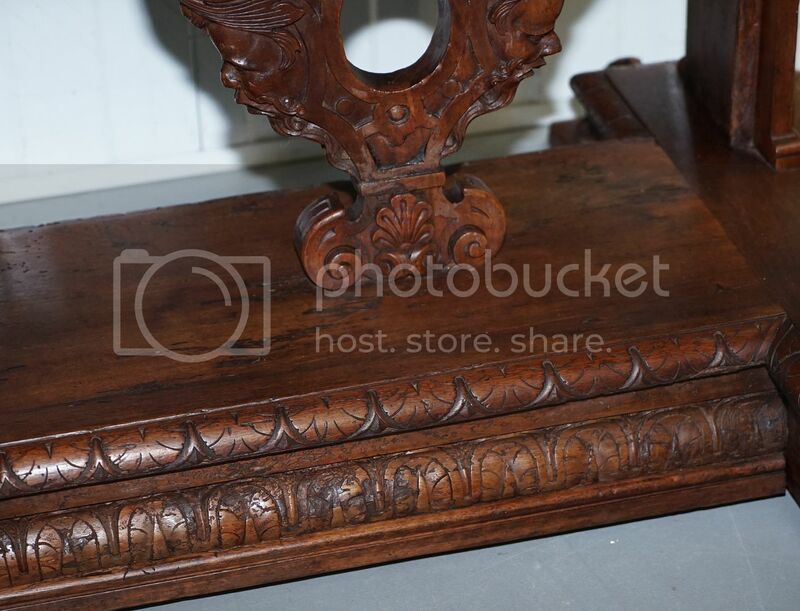 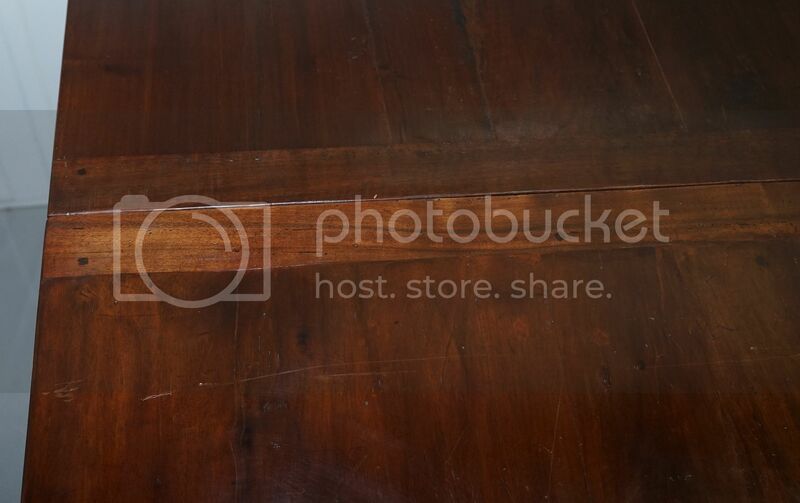 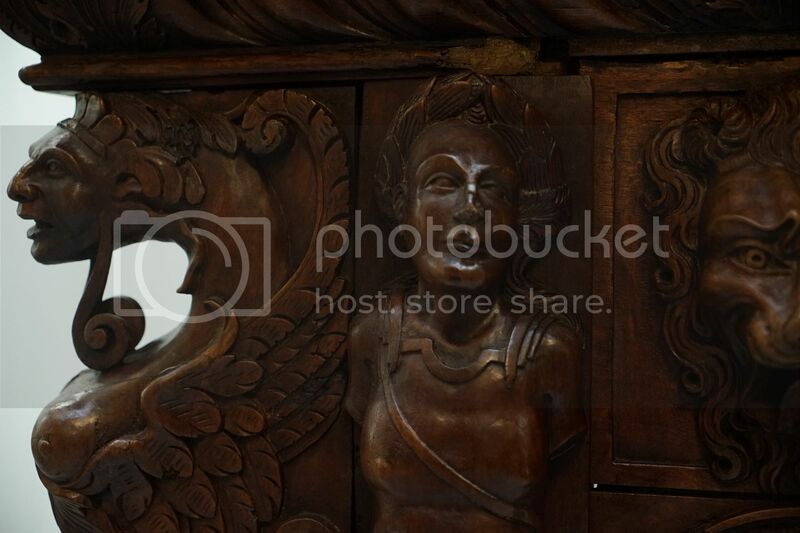 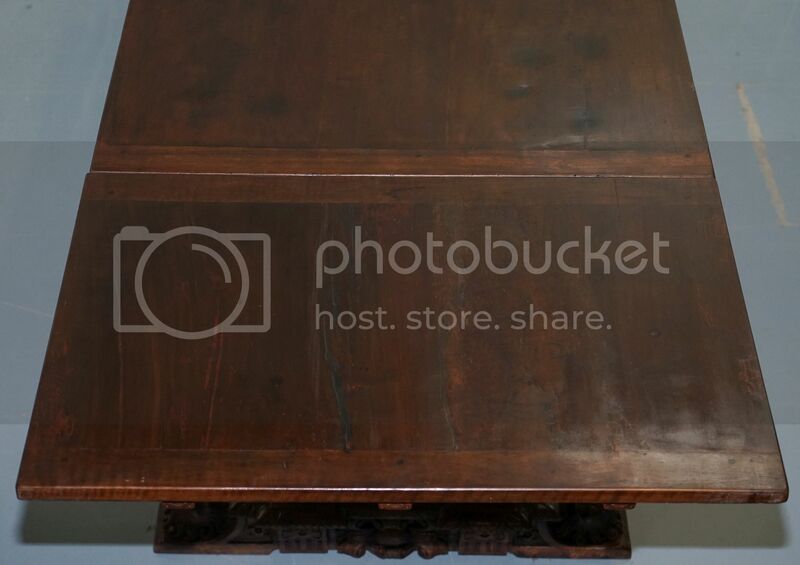 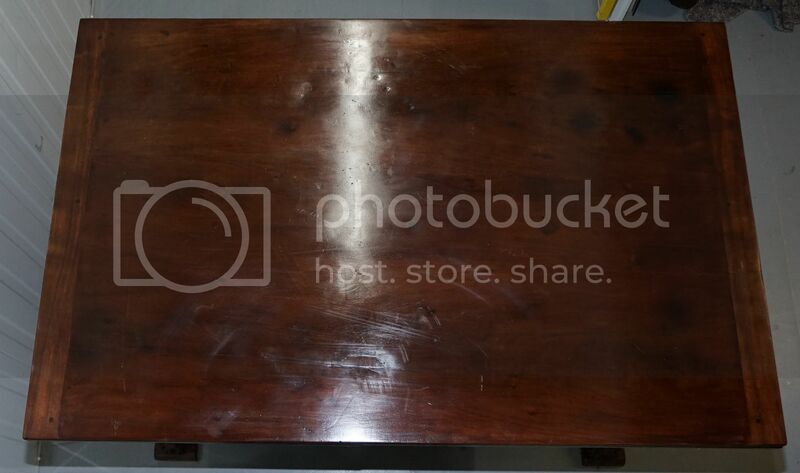 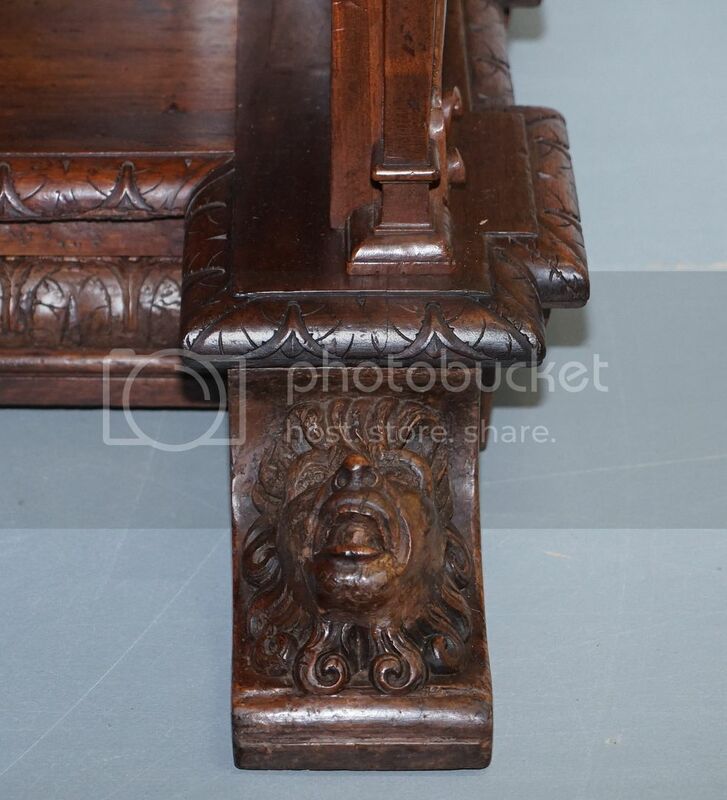 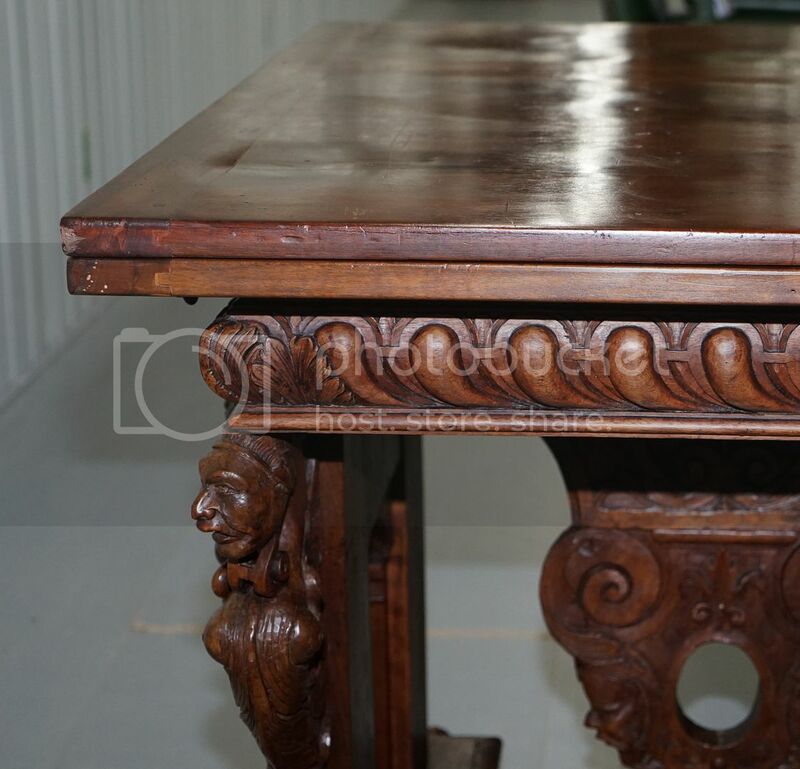 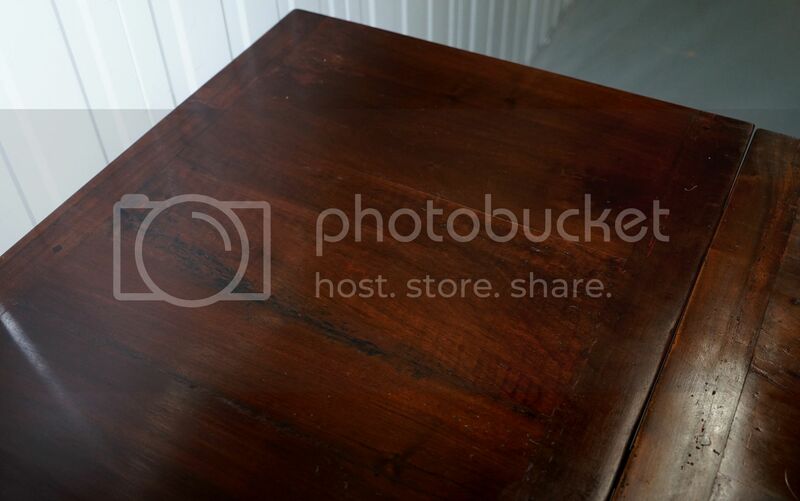 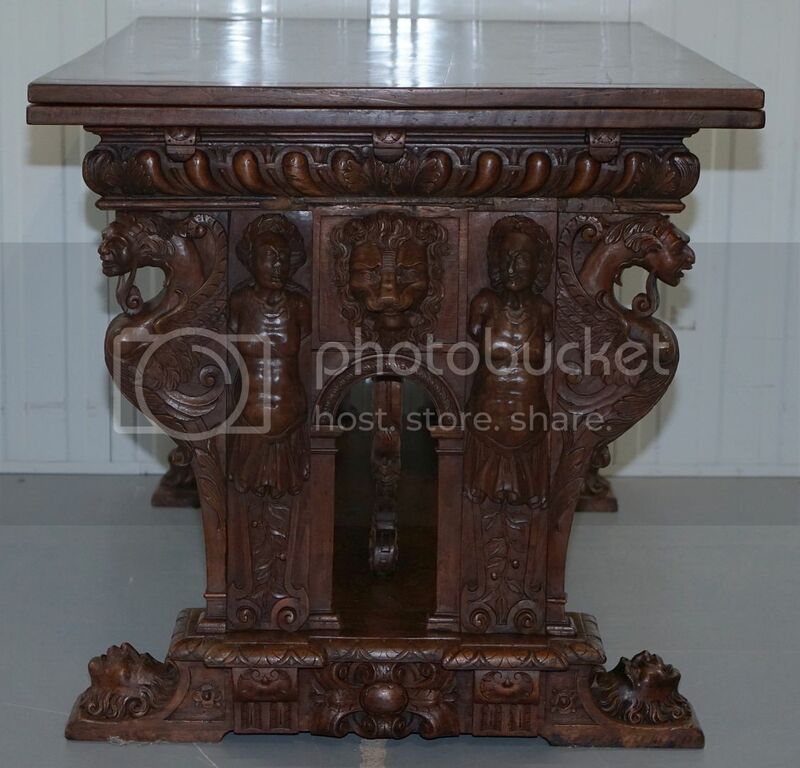 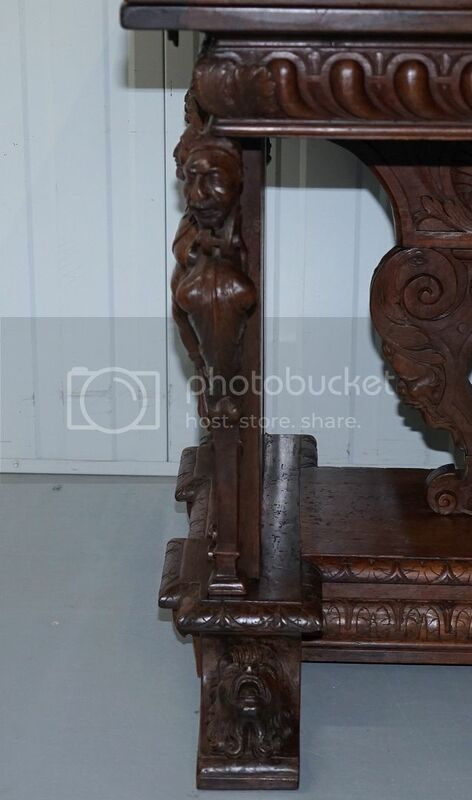 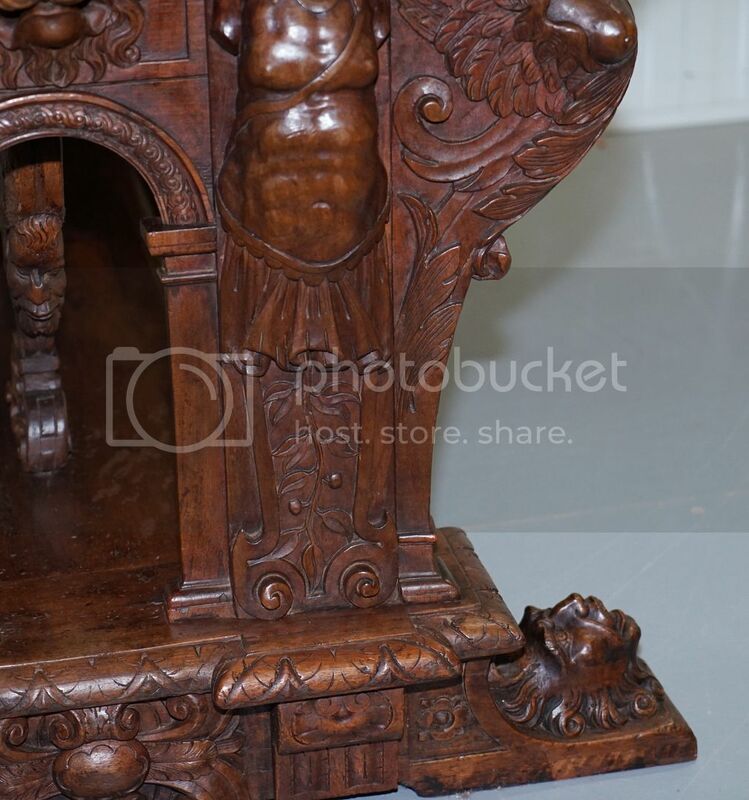 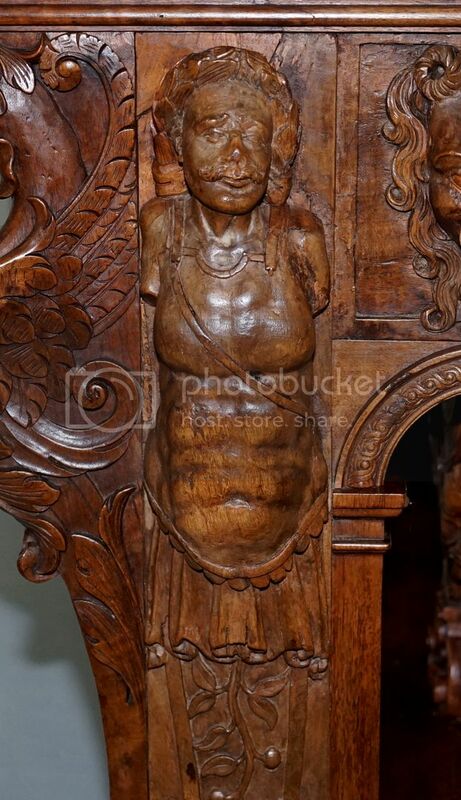 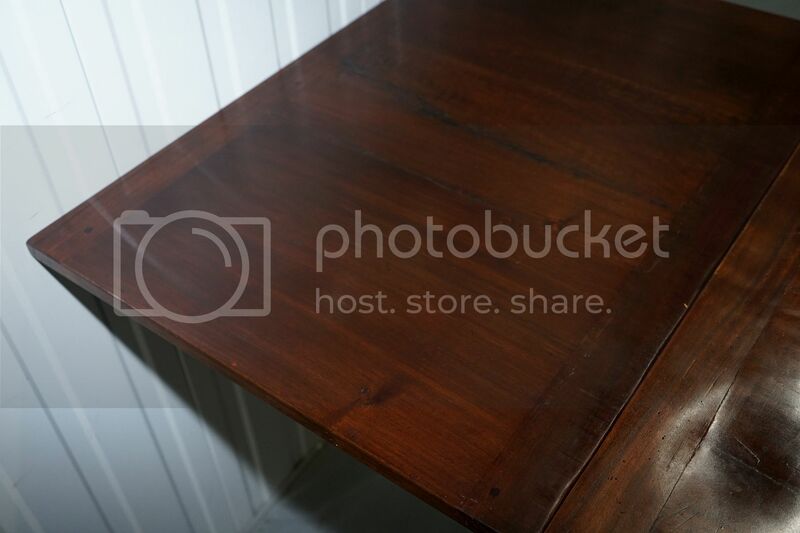 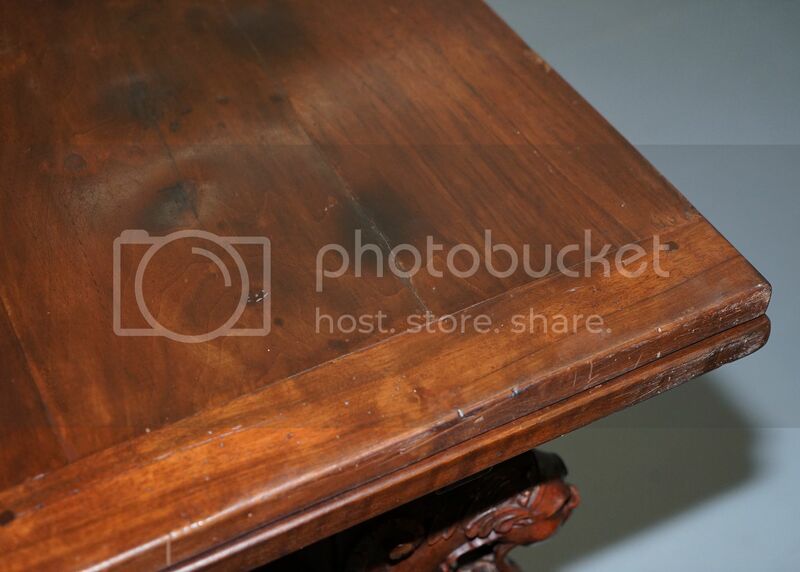 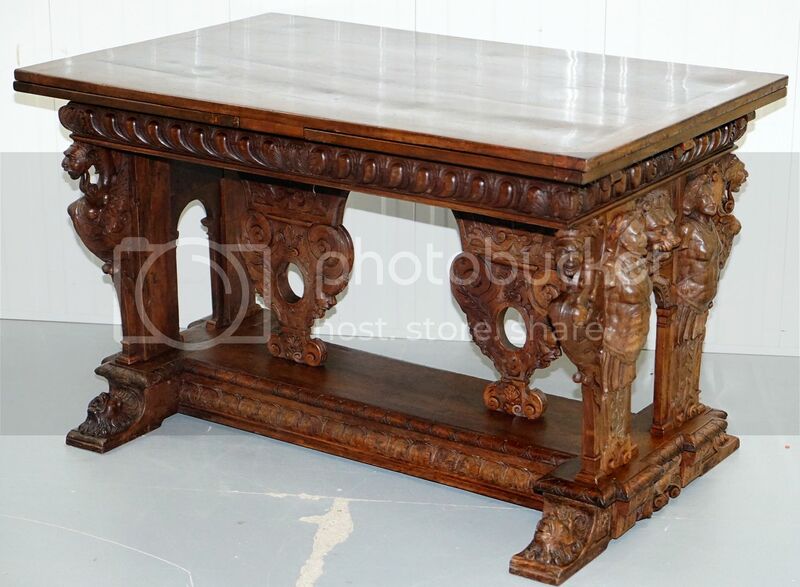 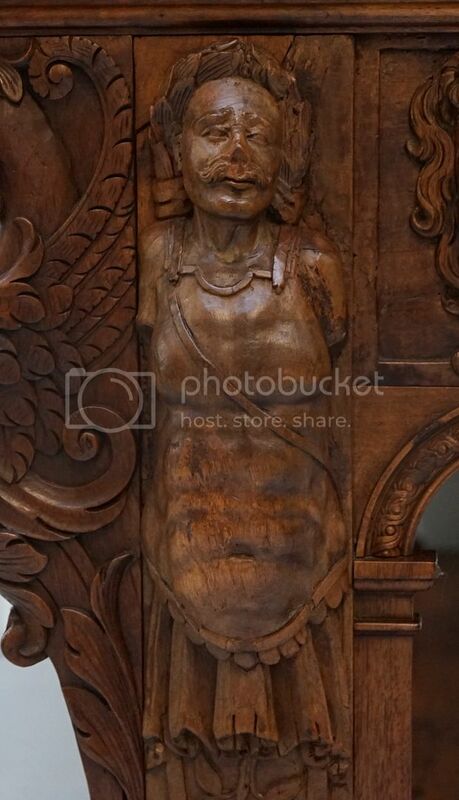 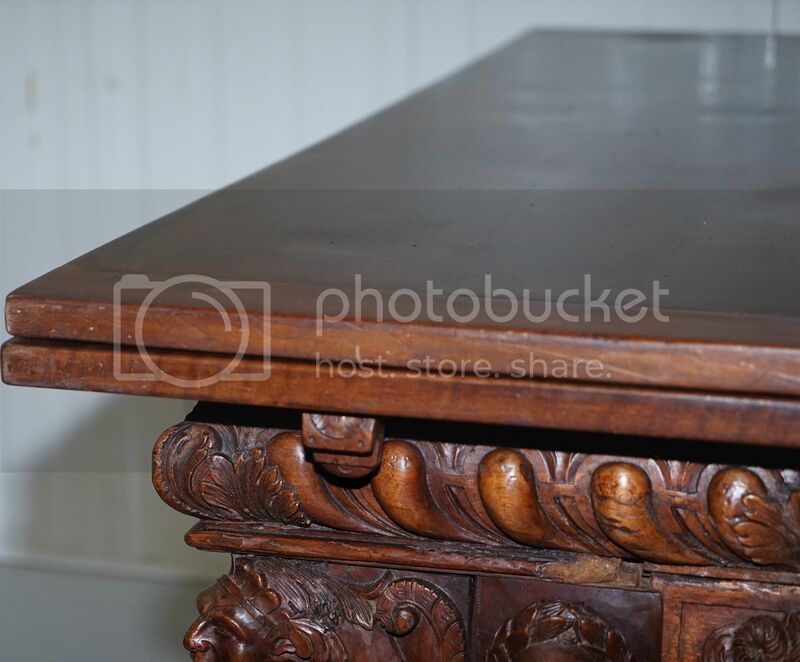 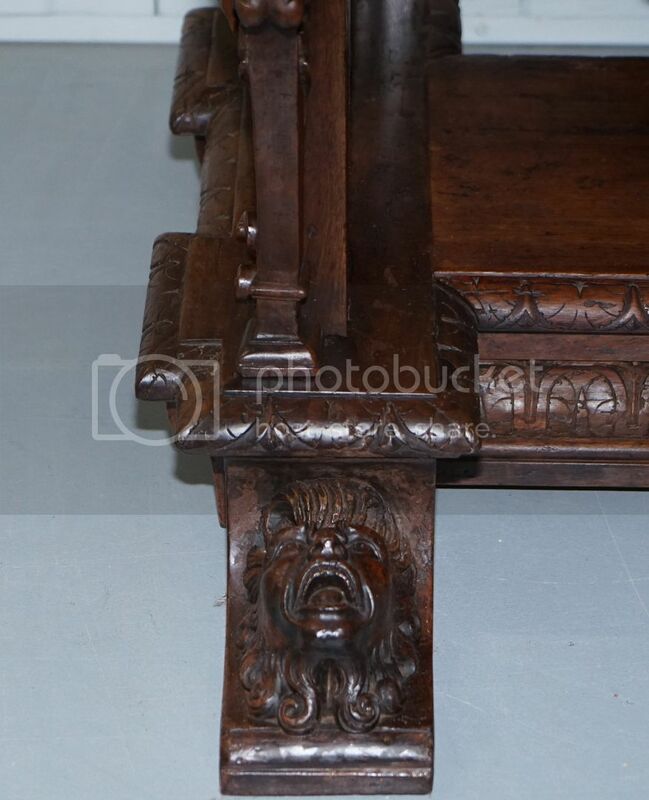 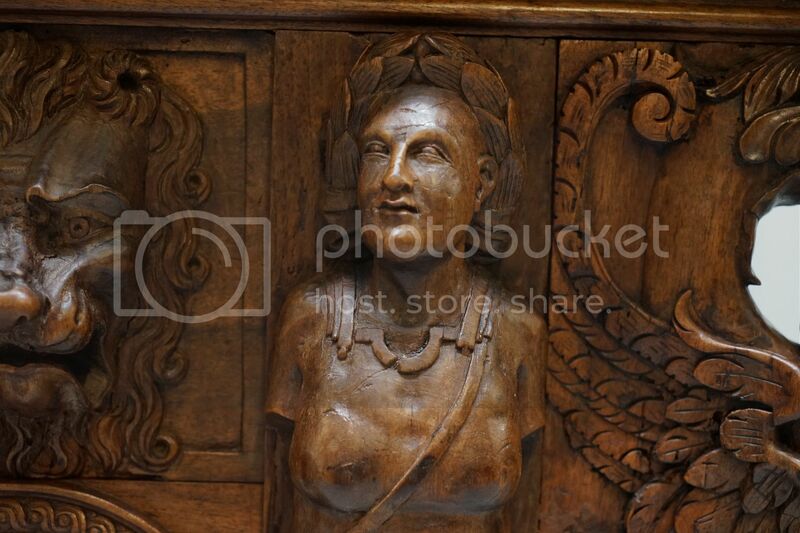 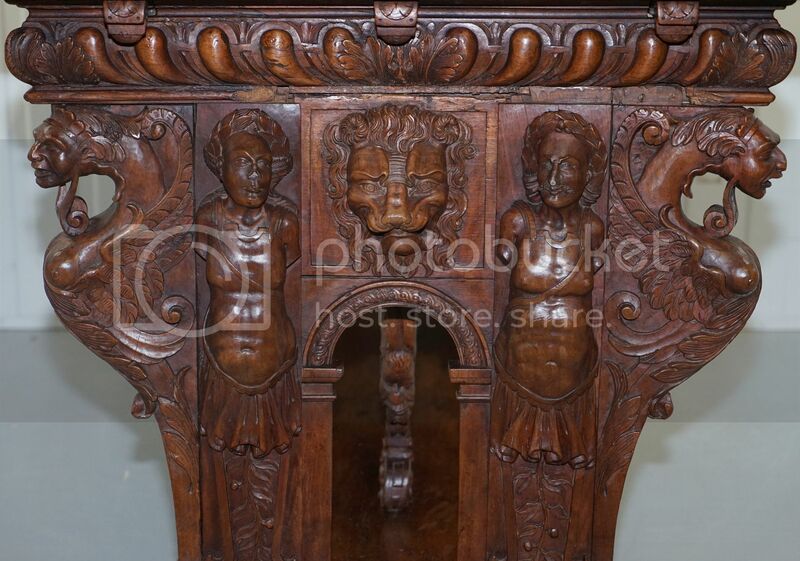 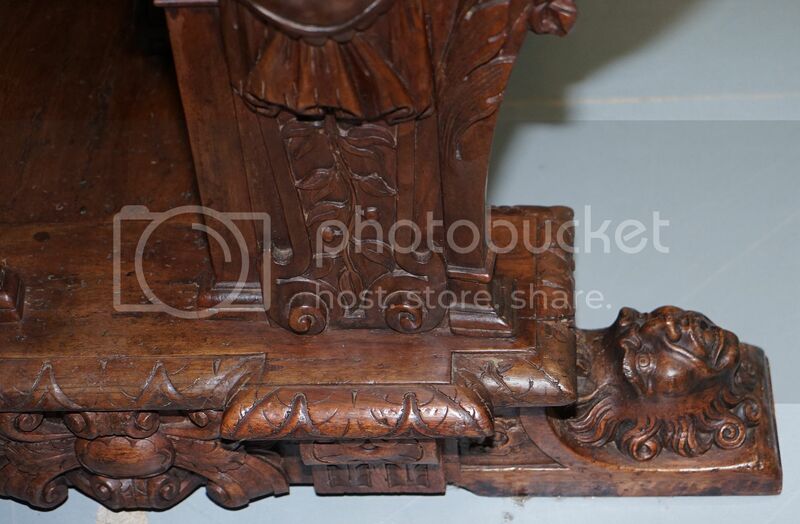 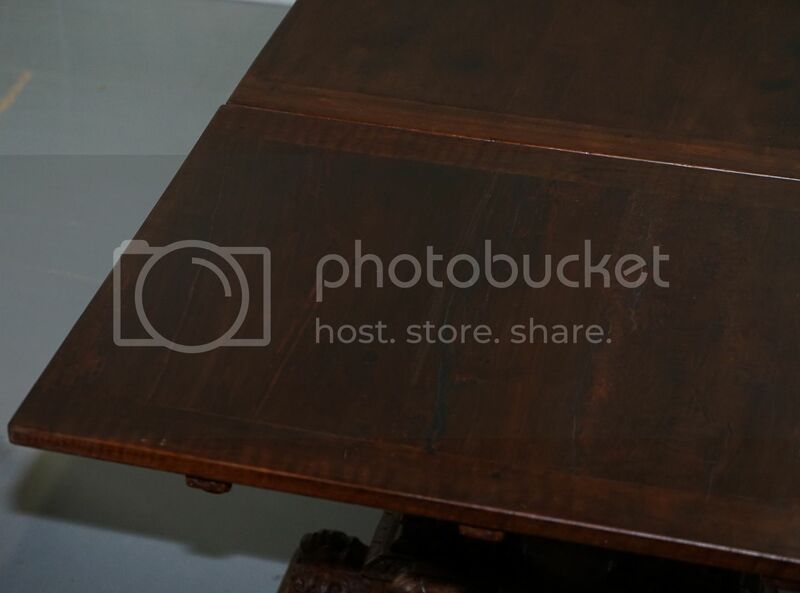 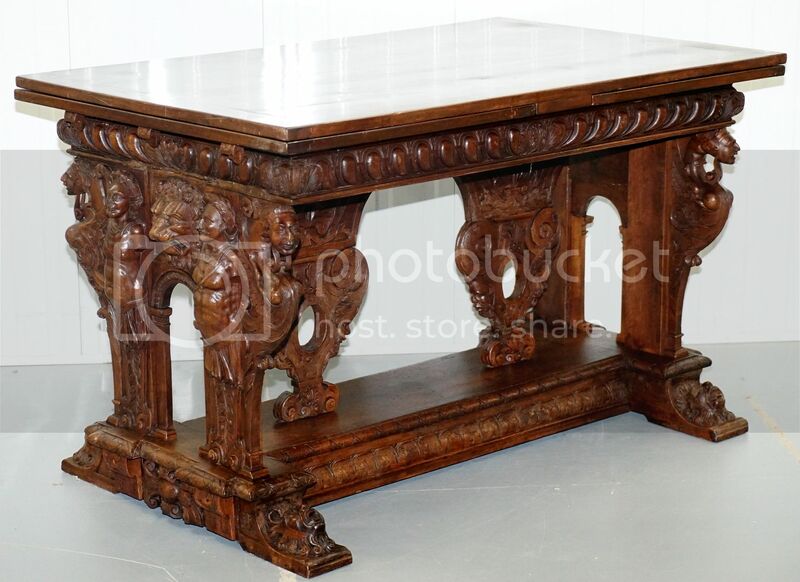 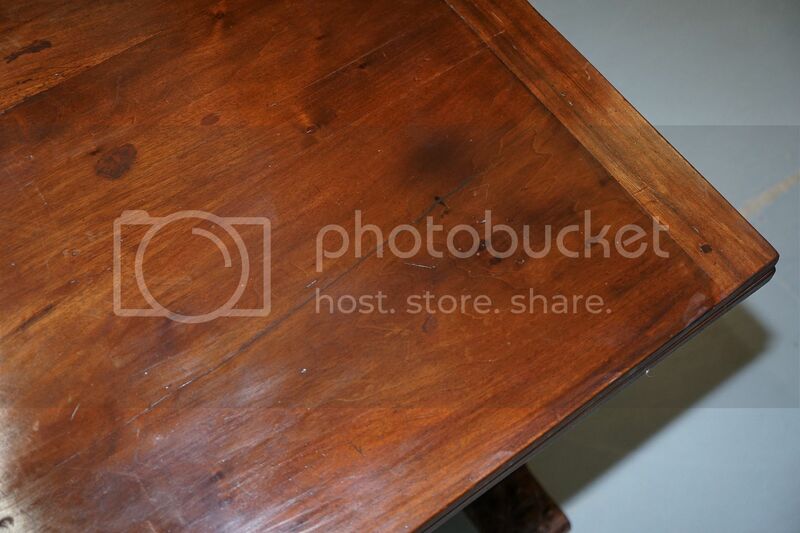 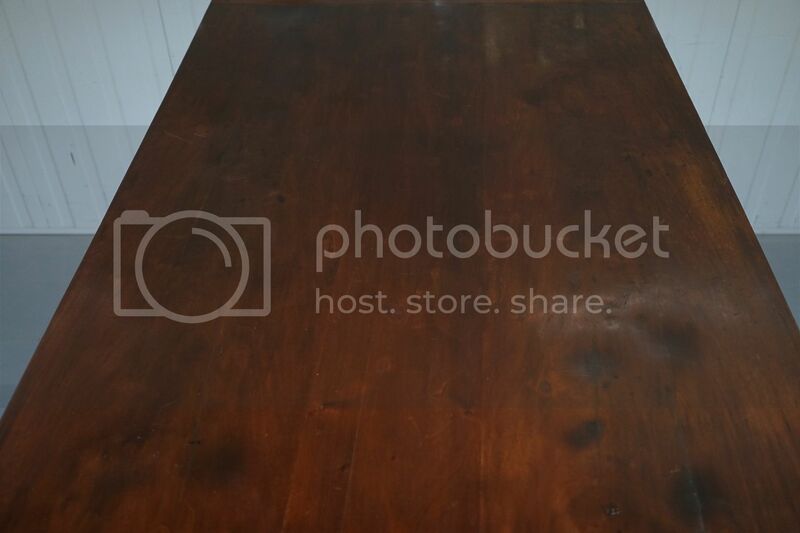 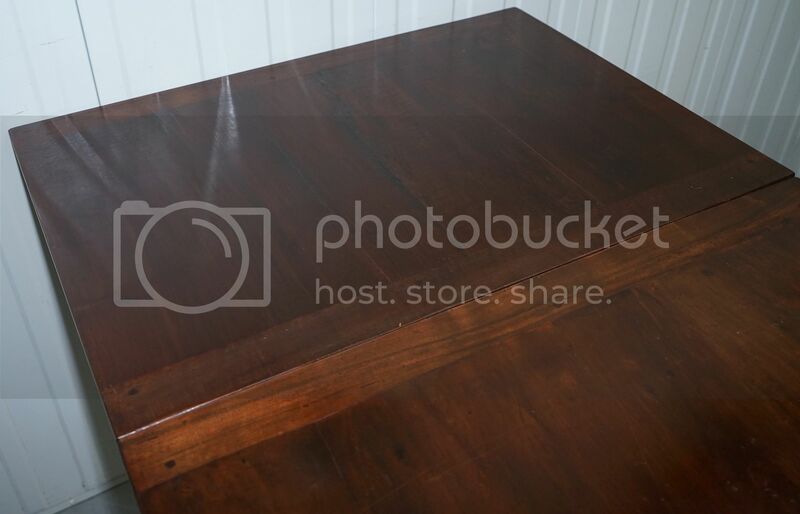 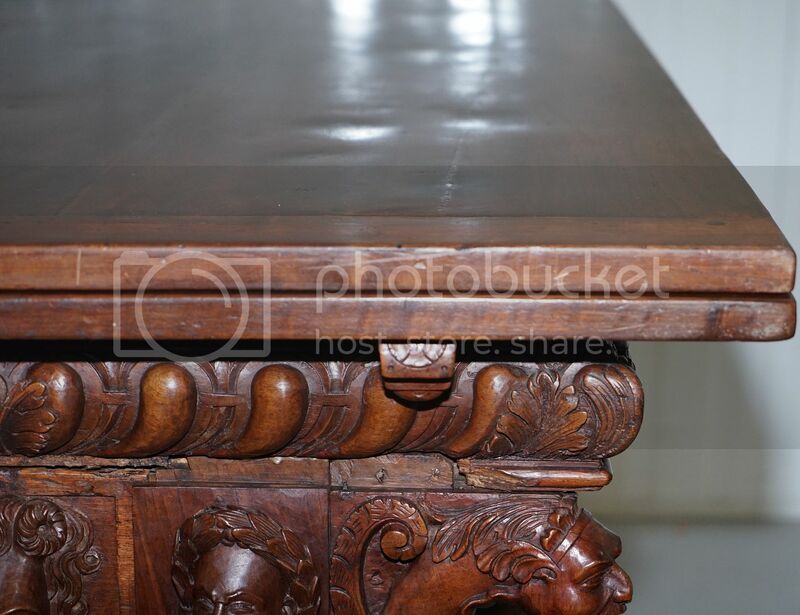 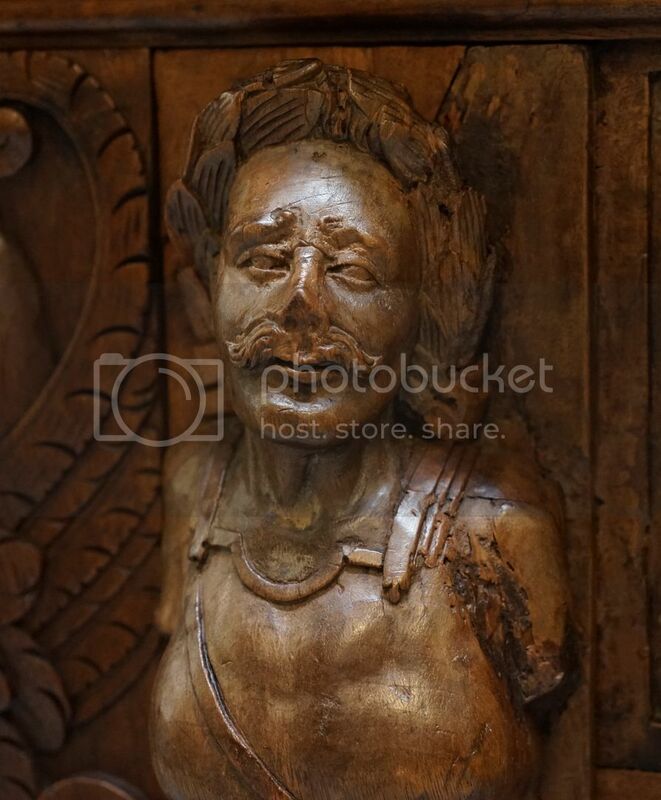 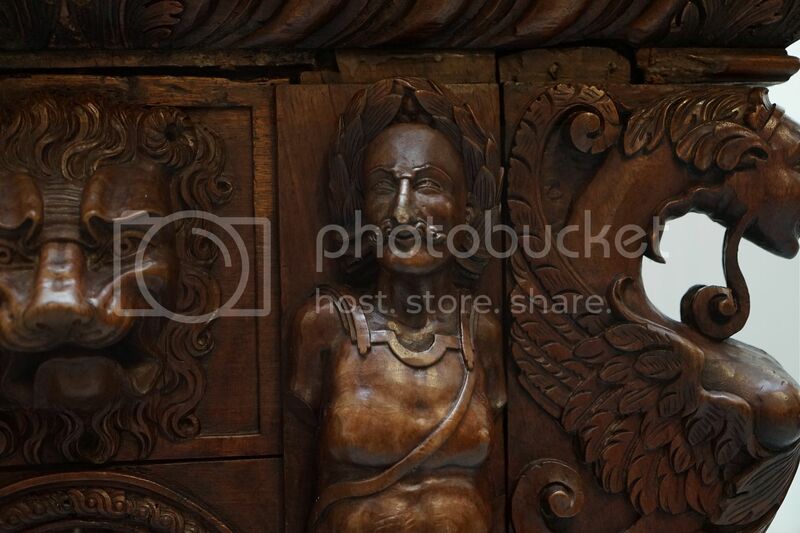 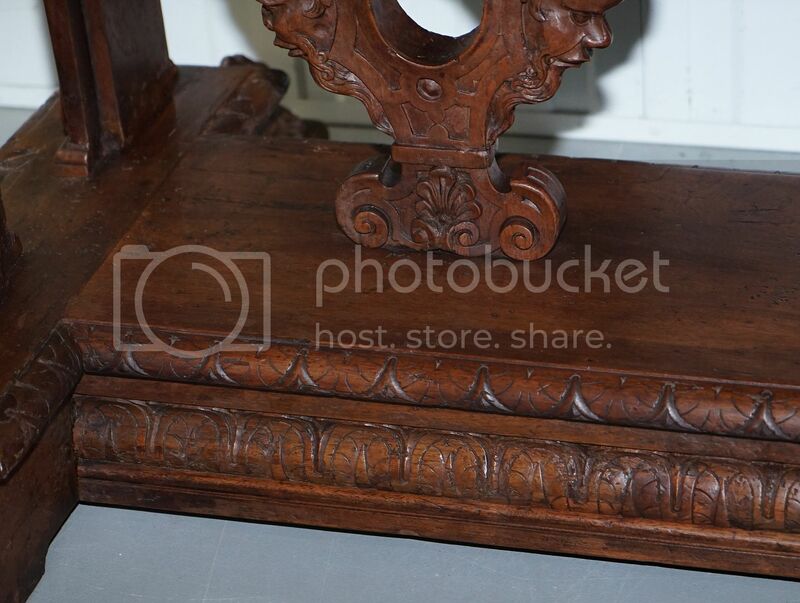 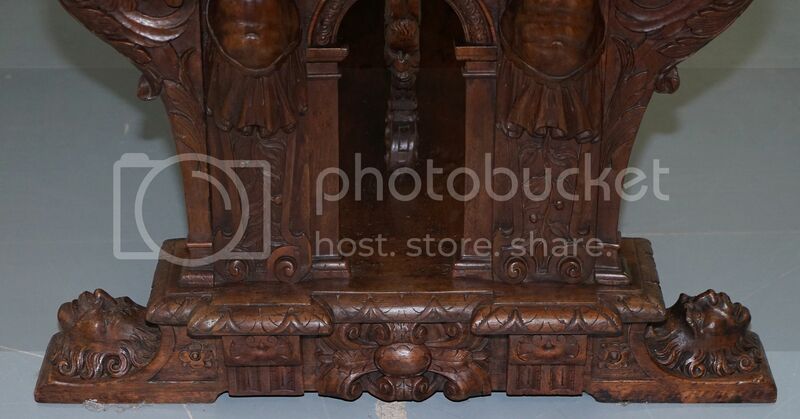 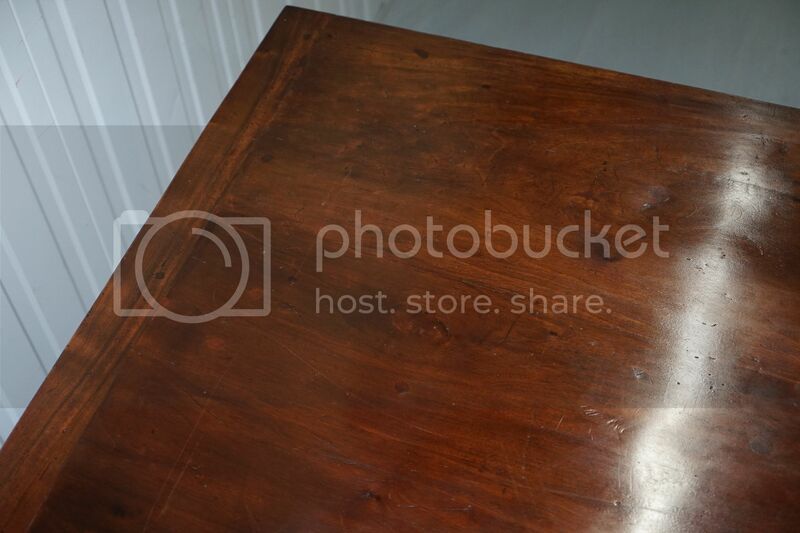 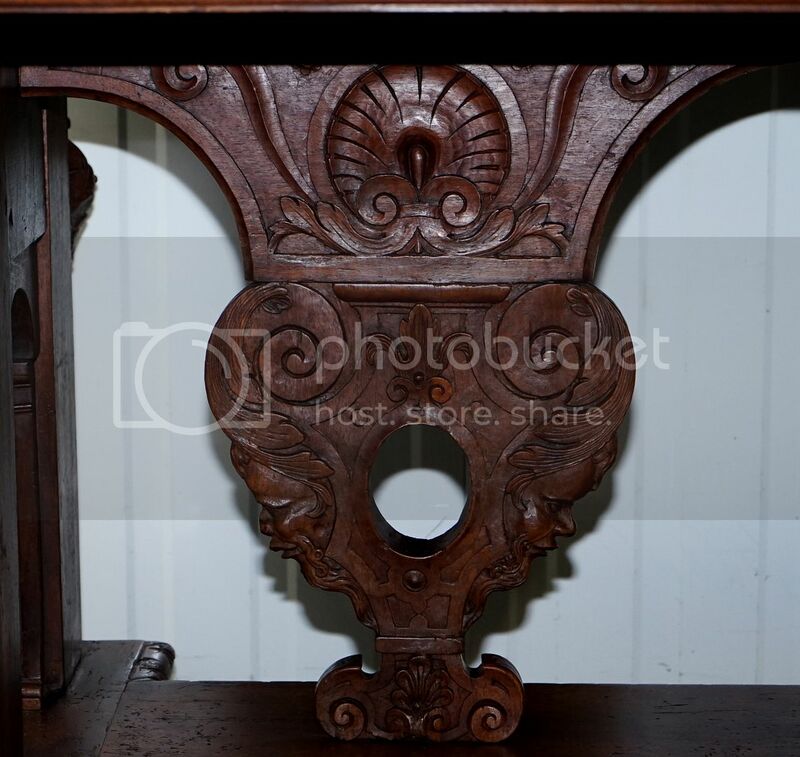 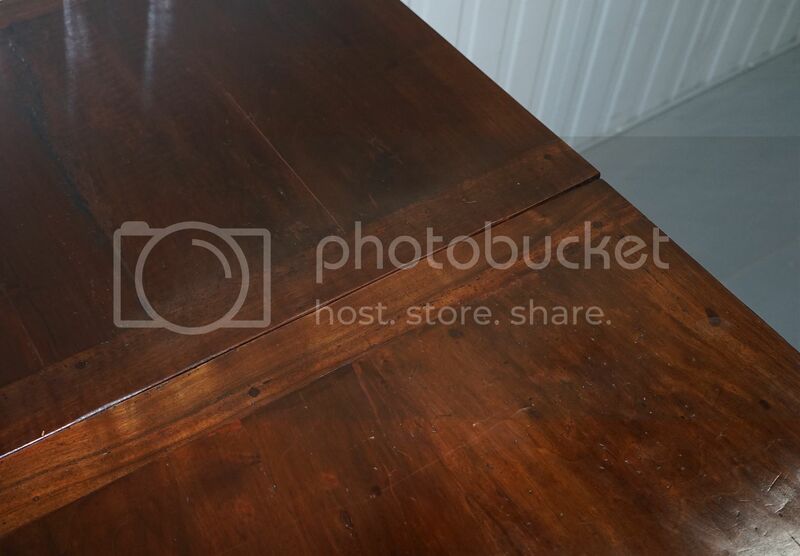 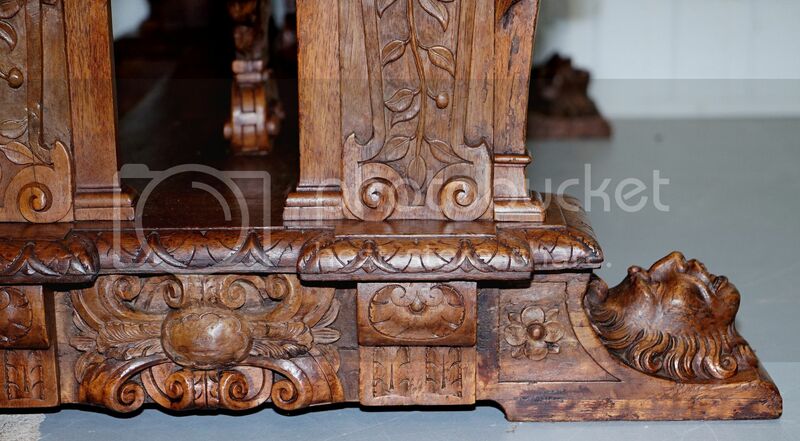 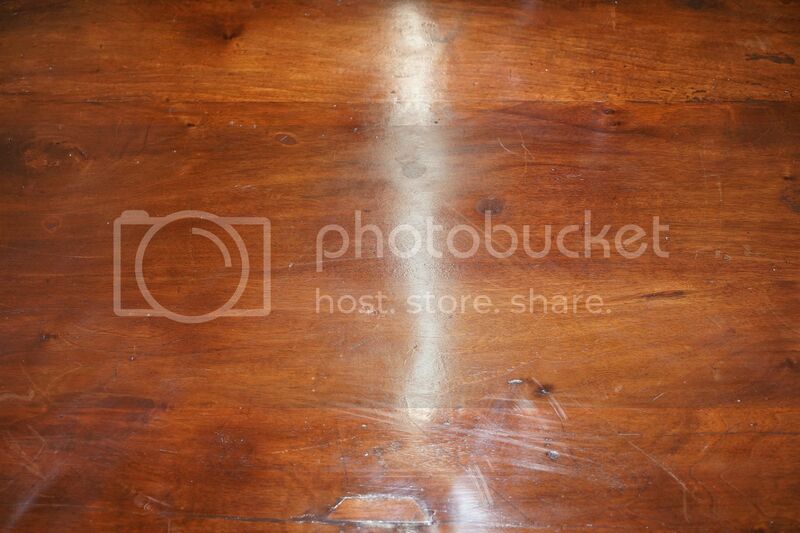 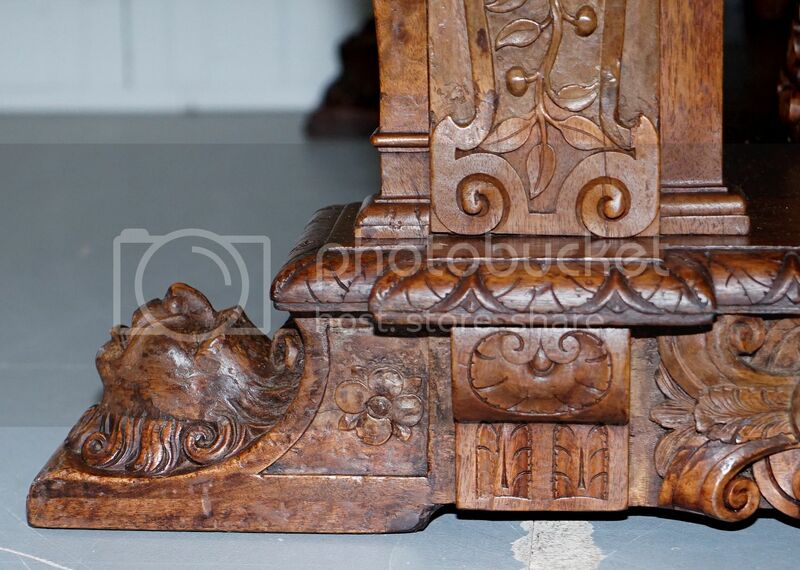 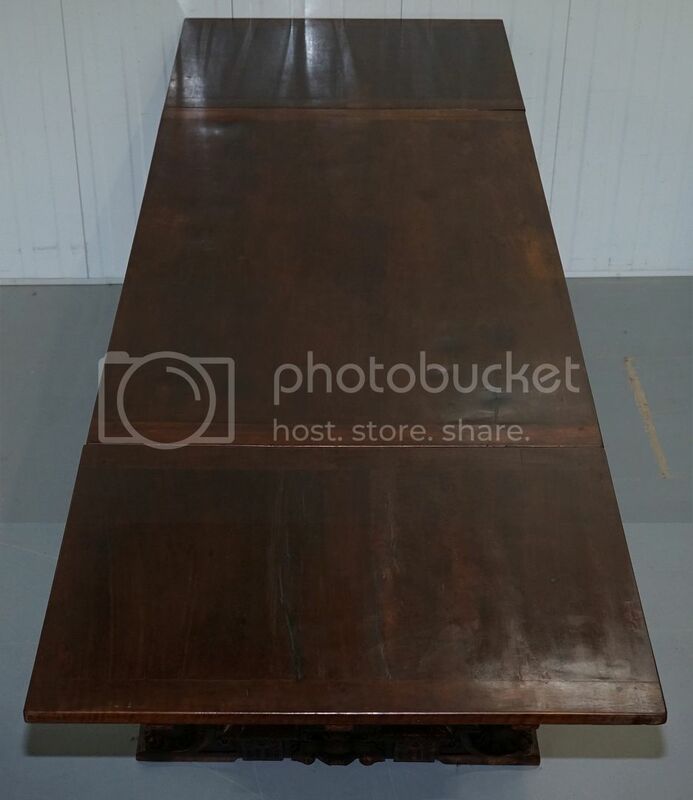 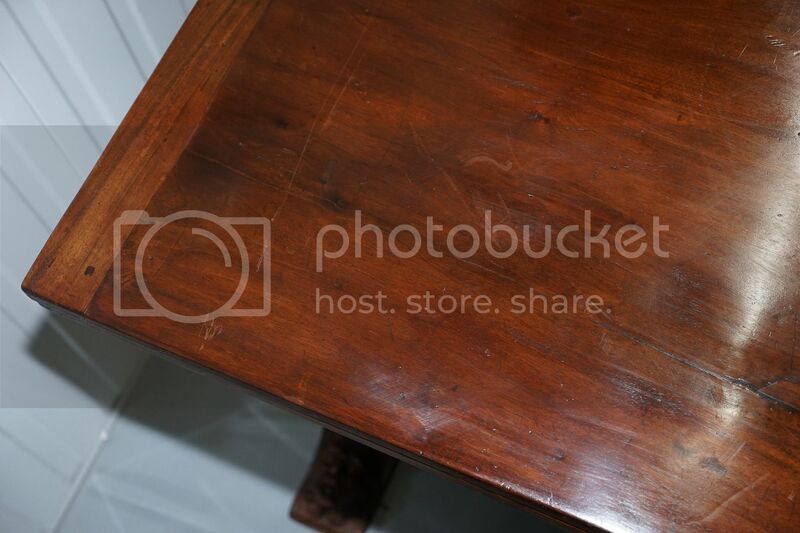 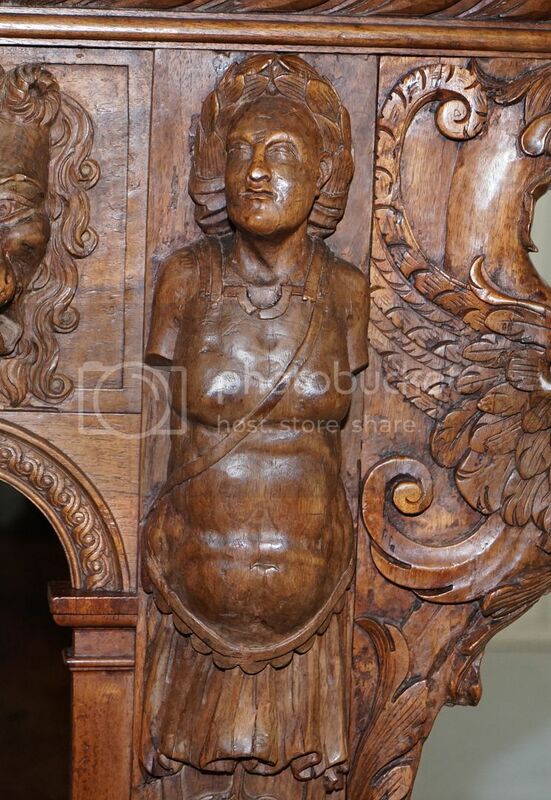 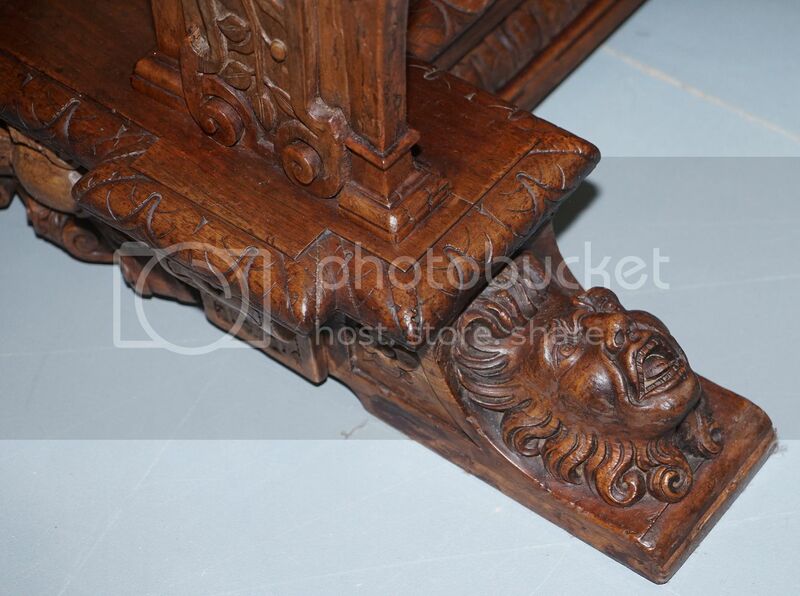 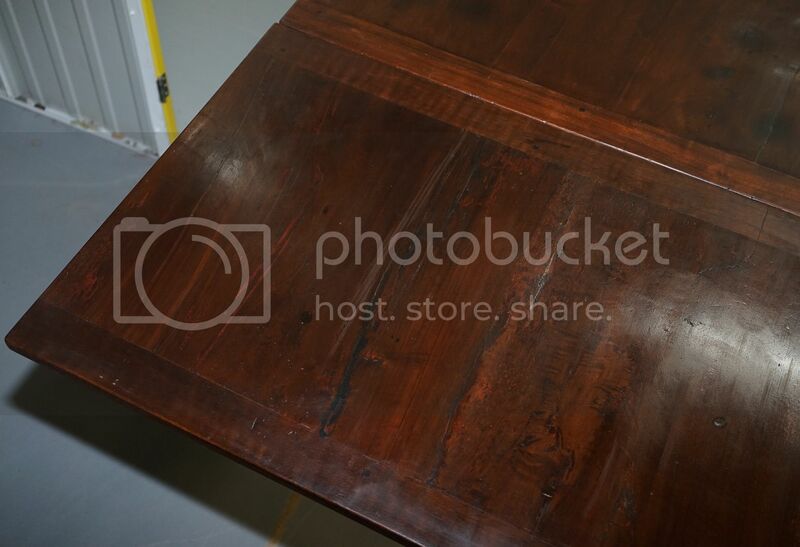 This table is heavily carved in solid walnut in the Renaissance manner. 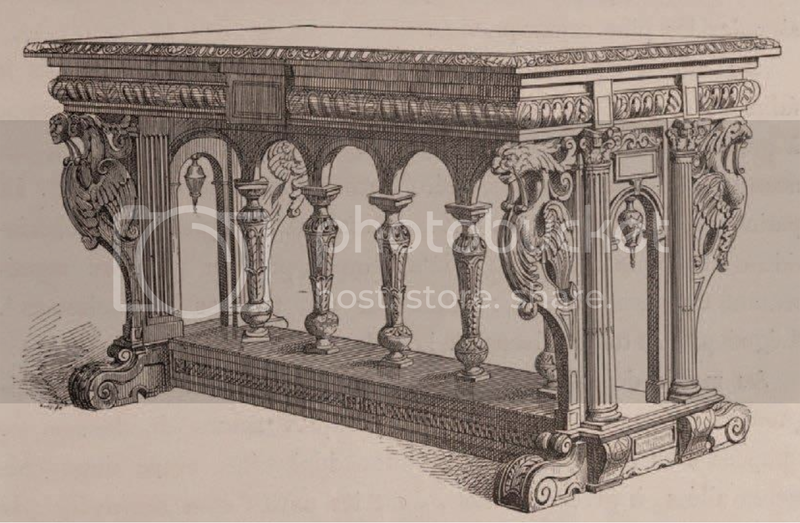 Inspired by Italy in its form and decoration, the originals came from the crucible of the Ecole de Fontainebleau, where architects and ornamentalists, such as Jacques Androuet du Cerceau and Hugues Sambin, were formed. 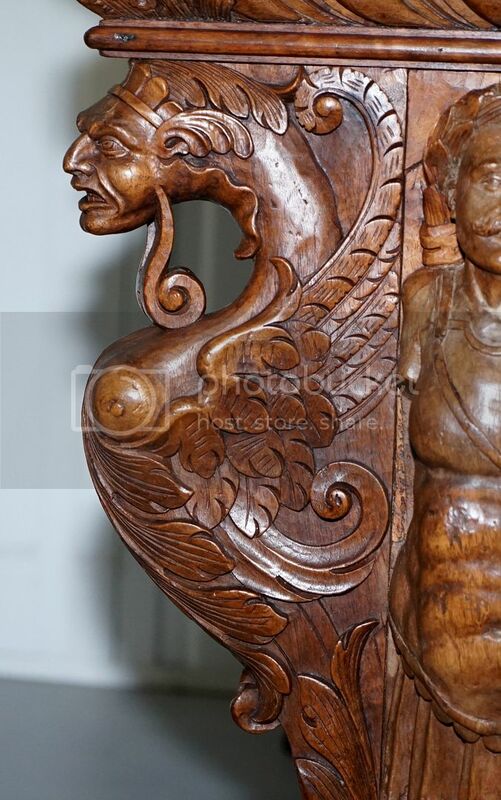 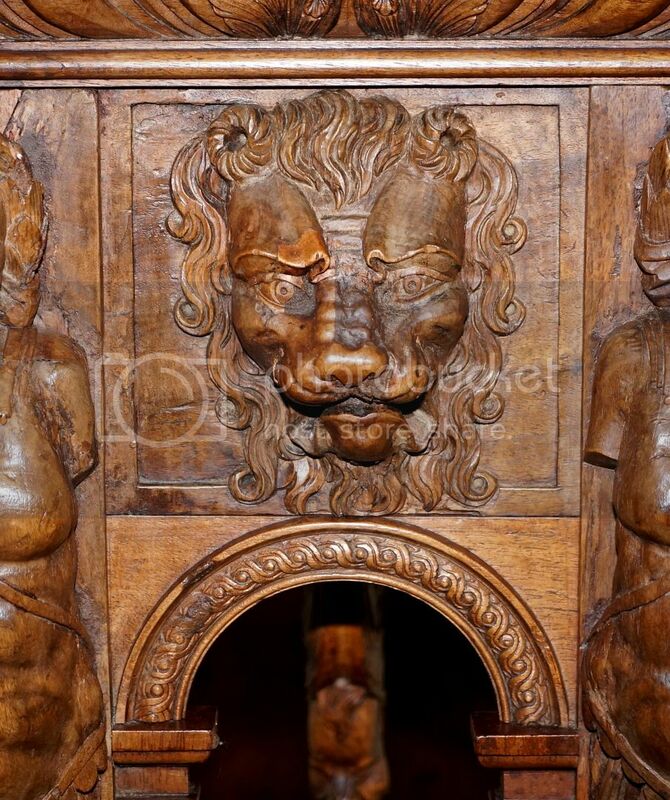 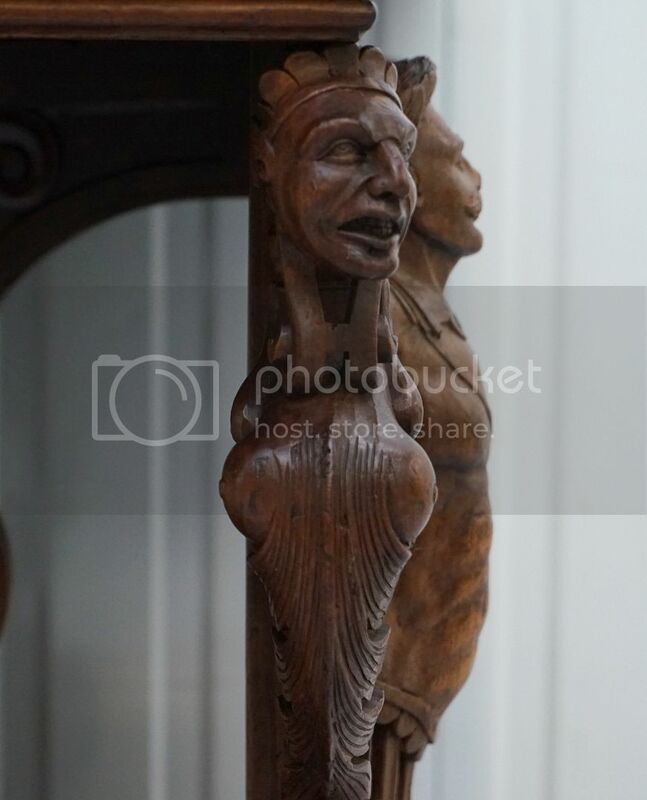 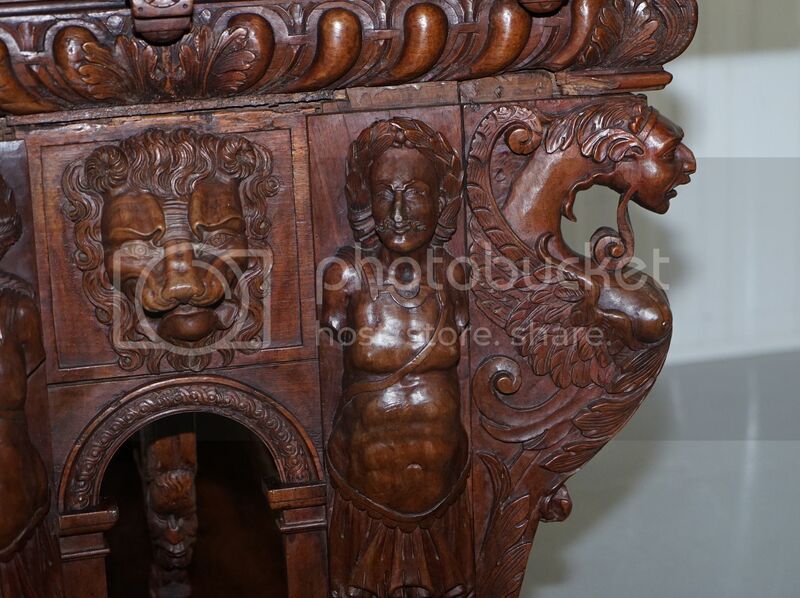 Once a ceremonial table and “piece of sculpture”, it marks “one of the peaks of the art of furniture in France” (J.Thirion). 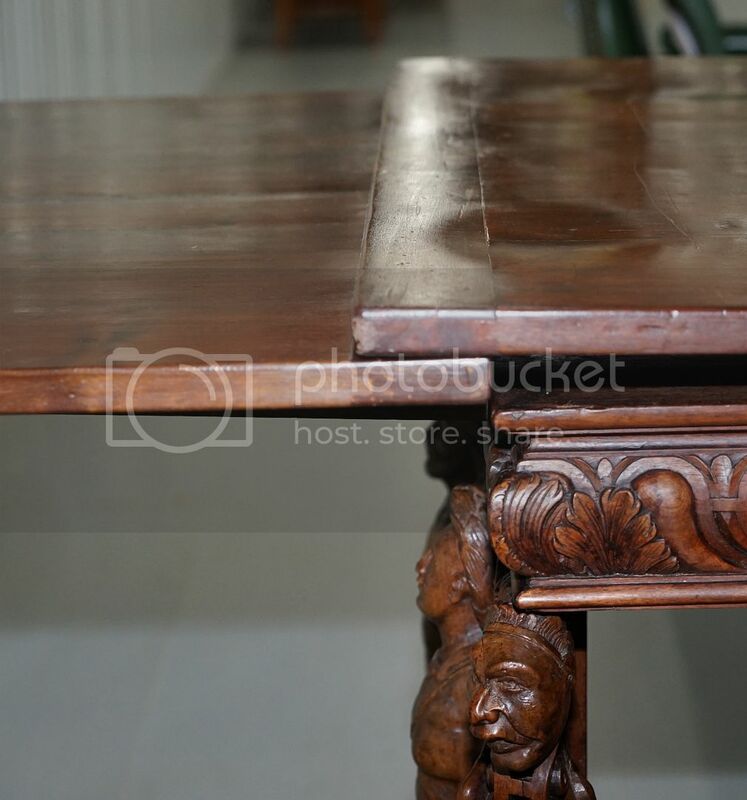 High and powerful, this exceptional table consists of a frame of two large legs connected by a wide brace box. 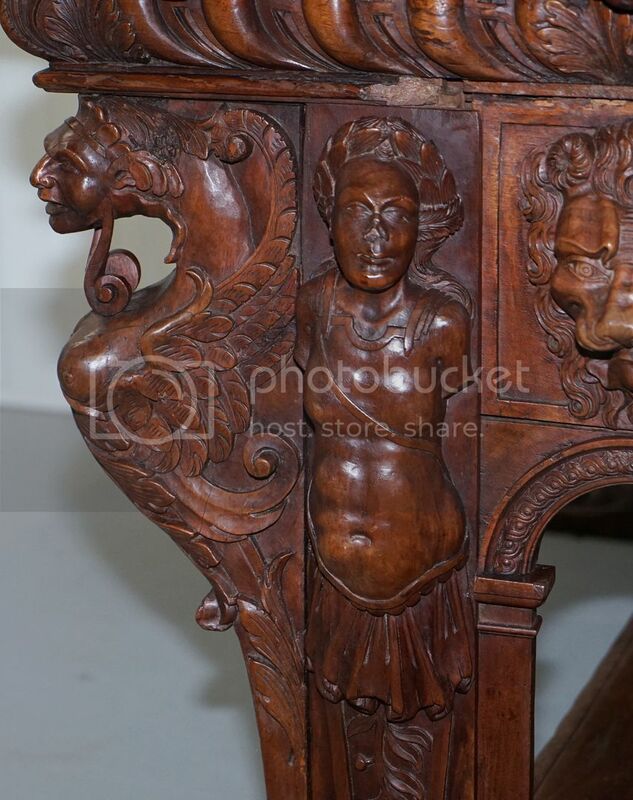 The top perfectly unfolds and extends to reveal two sliding leaves, French or Flemish invention. 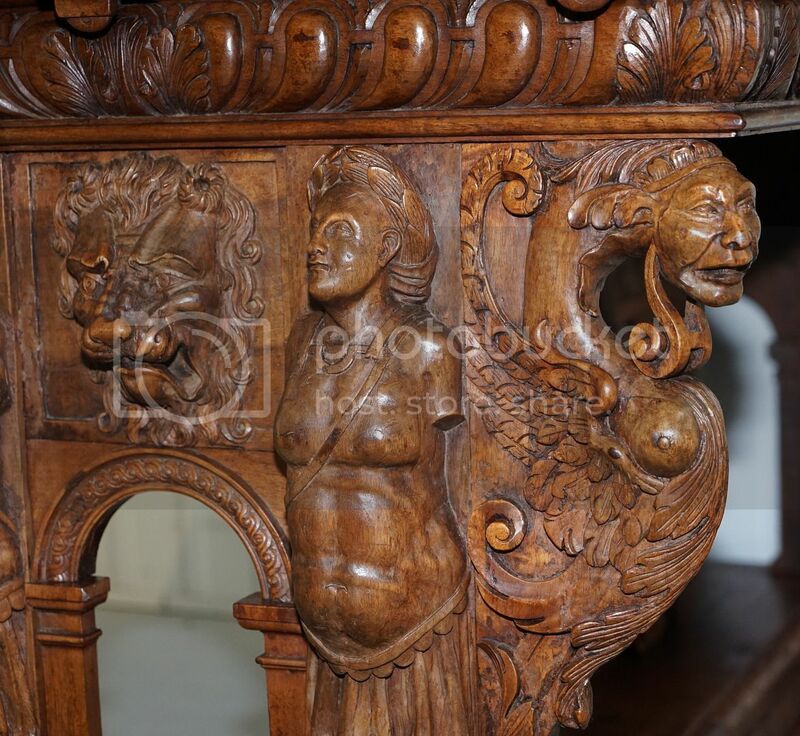 This decorative base is dressed with plant shapes and fantastic figures, an extraordinary finesse of execution, form so many hieratic figures with generous forms that limit the angles. 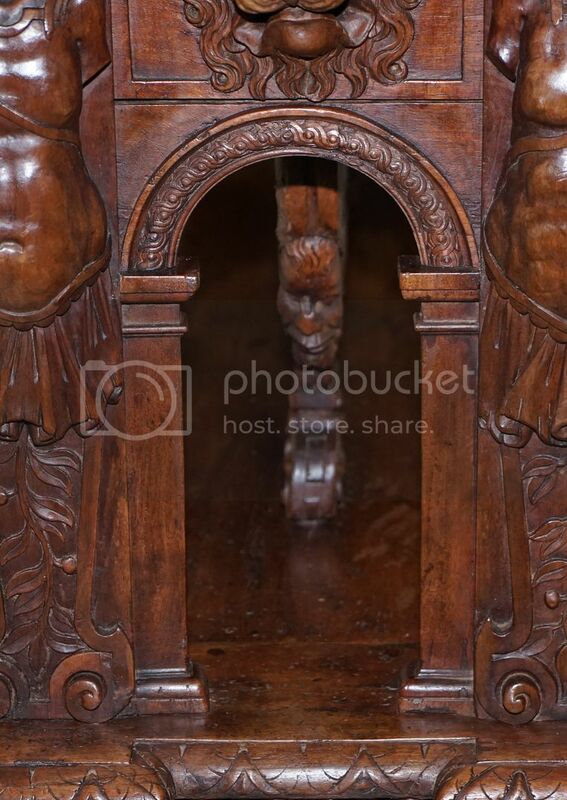 On the reverse side a simple semi-circular arch opens a trompe l’oeil perspective. 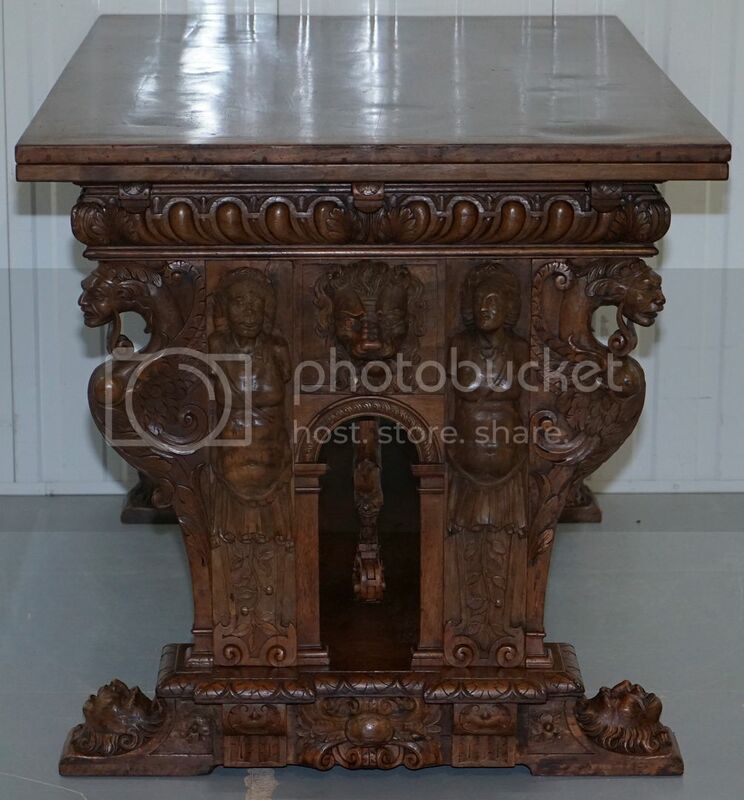 The choice of motifs, the harmonious arrangement and the elegance of the treatment call for comparison with other models from the same family, from the Fontainebleau school. 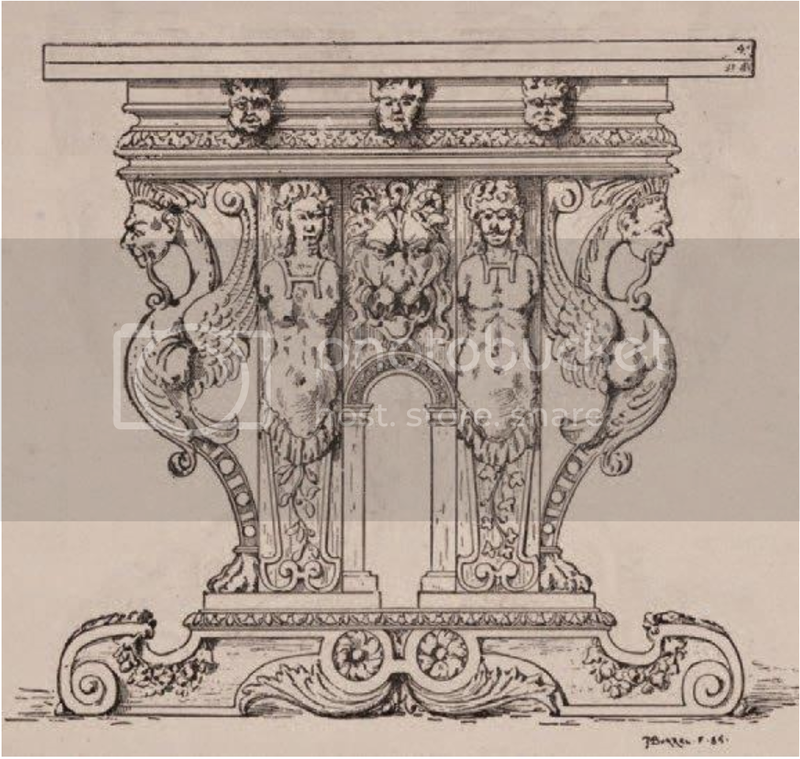 The drawing of the central arcade confined with chimeras derives from models of Jacques Androuet du Cerceau, of which Hugues Sambin is largely inspired.